February 21, 1865 – 3 a.m. – Cumberland, Maryland: A band of approximately 65 horsemen slowly makes its way down Greene Street. Thinking the riders are disguised Union scouts, the few Union soldiers out that bitterly cold morning pay little attention to them. In the meantime, in and around the town, over 3,500 Yankees are peacefully asleep. In September 1862, John Hanson McNeill recruited a company of troopers for Colonel John D. Imboden’s 1st Virginia Partisan Rangers. In early 1863, Imboden took most his men into the regular army, but McNeill and his son Jesse offered their men an opportunity to continue in independent service-seventeen joined them. In the coming months, other young hotspurs enlisted in McNeill’s Rangers. 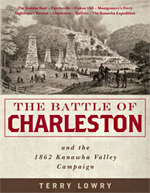 Operating mostly in the Potomac Highlands of what is now eastern West Virginia, the Rangers bedeviled the Union troops guarding the B&O Railroad line. Favoring American Indian battle tactics, they ambushed patrols, attacked wagon trains, and, from time to time, heavily damaged railroad property and rolling stock. This book is the result of the author’s long study of primary source material, including numerous diaries, memoirs, reminiscences, and period newspaper articles. He has also used the available secondary sources, conducted many interviews of McNeill Ranger aficionados, and traveled throughout West Virginia, western Maryland, southern Pennsylvania, and the Shenandoah Valley following the trail of Captain McNeill and his Phantoms of the South Fork. Steve French is a former middle school teacher and graduate of Hedgesville High School and Shepherd College. 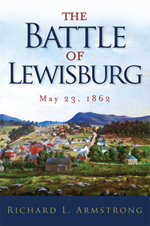 His other works include the multiple-award winning Imboden’s Brigade in the Gettysburg Campaign, Rebel Chronicles: Raiders, Scouts and Train Robbers of the Upper Potomac, and Four Years Along the Tilhance: The Private Diary of Elisha Manor. He is also the author of over eighty historical articles that have appeared in numerous publications.